Hello, I'm Carly and I blog over at Lipgloss & Crayons. I teach elementary school, and am constantly inspired by the way my students play. 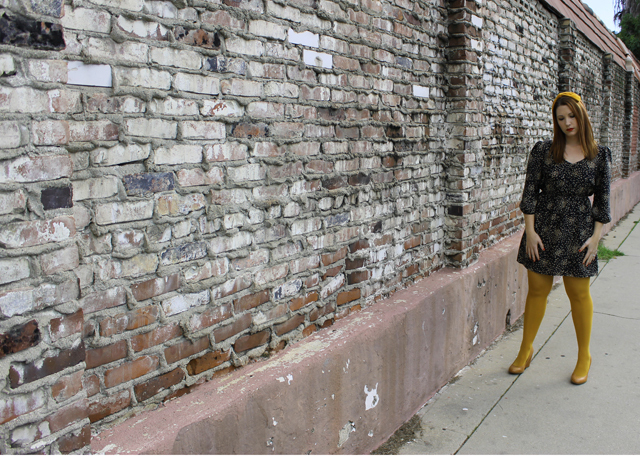 On my blog I play with fashion....experimenting with trends, and mixing fun colors and accents! A few of my favorite trends this year? What are your favorite trends to wear??? Stop by Lipgloss & Crayons and share them! I love being inspired by readers! Absolutely love all of the outfits above, however the look featuring her mustard tights is my favorite! 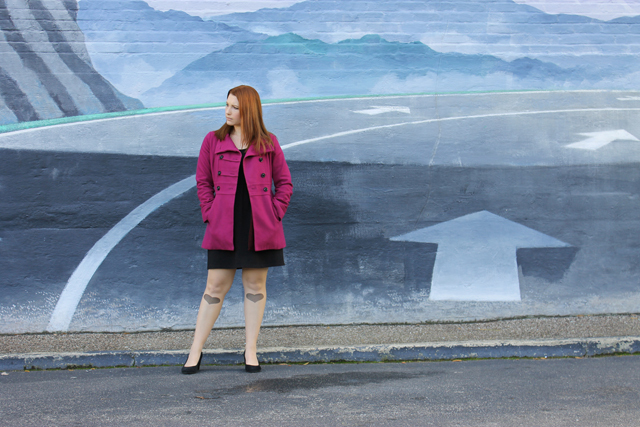 Carly is giving you all the chance to win a $30 gift card to Piperlime! *This giveaway is open until January 15th @ 11:50 pm MST to all Dearest Lou readers. Winner will be announced on or after Wednesday January 16th. Winner will have 7 days to claim their prize by emailing me at dearestlou at gmail.com or another winner will be selected and contacted via email. Winner will be chosen randomly using random.org. Psst--Click here to see if you are the winner of The Bradley's Urban Outfitter Giveaway! Also, Please help me make it on the top 25 fashion and beauty moms list for 2013! You can vote for me once a day until January 23rd here! hey! i'm following L&C via Bloglovin and I also follow you via twitter! Following Lipgloss & Crayons via GFC! I follow Dearest Lou on Bloglovin! Love the outfits! I think the first look with the leather is my favorite such a beautiful bag. I am now following the fashionable Lip gloss and Crayons through Bloglovin'! I follow carly's blog via GFC! love her!! I follow Carly on facebook! following lipgloss and crayons on bloglovin! liked lipgloss and crayons on facebook! ps voted for you Cecilia on top 25 fashion beauty moms :) i hope you win!! I follow Dearest Lou via GFC! I follow Lipgloss and Crayons on Bloglovin. I like Lipgloss and Crayons on FB! I like Lipstick and Crayons on FB! I follow you on GFC as Erika. I liked Lipgloss & Crayons on facebook! Followed Lipgloss and Crayons on Bloglovin'! Follow Dearest Lou via GFC as Chestnutmocha! I followed Lipgloss and Crayons on GFC! I follow dearest Lou on bloglovin and GFC! I follow lipgloss and crayons on Facebook! I love her Los Angeles shirt! I like Lipgloss and Crayons on facebook! I follow Lipgloss and Crayons via GFC. Following Lipgloss and Crayons via GFC!